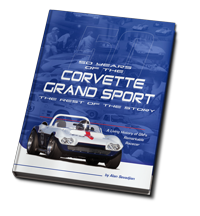 Fifty years after fielding Grand Sport 003 at Sebring in 1965, the Duntov team returned and did a little better this time! The 12 Hour race in 1965 is often remembered as the rain race. The skies opened up at about 7 hours in, and the track was flooded with water a foot deep in some places. It rained again big time this year, but we had to deal with inches instead of feet! 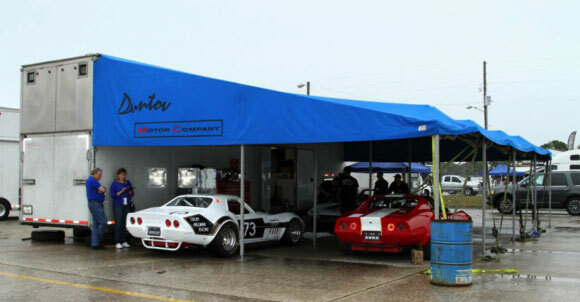 Duntov brought 4 Corvettes to Sebring; Tony’s 71, Walo Bertschinger’s Grand Sport roadster, Colby Hillman’s immaculate 69 and Clair Schwendeman’s 68. 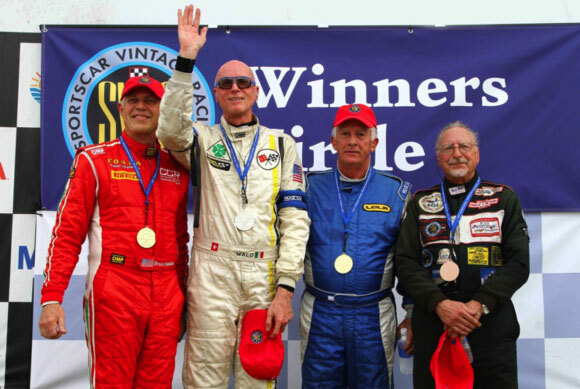 Clair won the last event at Sebring, and we fully expected him to repeat. Tony has a new engine and other upgrades for 2015 and his car showed big improvement during testing on Thursday. 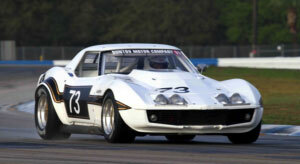 This would be Walo’s second trip to Sebring and he also brought some more horsepower this time around. Colby went the other direction by swapping out the big block he ran all last year for a small block. 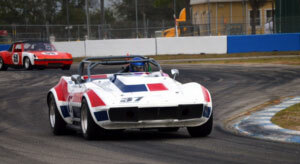 It was his first Sebring race and he figured ‘why punish the big engine learning the track? That turned out to be the right strategy, as the rain pretty much cancelled out the extra horsepower. 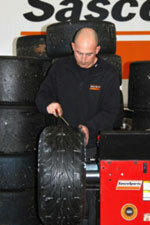 Fortunately we were parked next to Sasco Sports and were first in line to get tires grooved by Sasco’s Benjie Ray. Sunday’s Group 6 feature race saw nine of the top 10 qualifiers on hand grooved rain tires. Tony had to fly back to Dallas on business so he never actually got in his car. Edward tested it on Thursday and said it was ready to go. Colby had sent us his new small block, but it came with no carburetor. By the time we got the car running on Thursday, Colby had missed what would turn out to be his only chance to run on a dry track. Clair and Walo were both fast on Thursday and reported no problems. 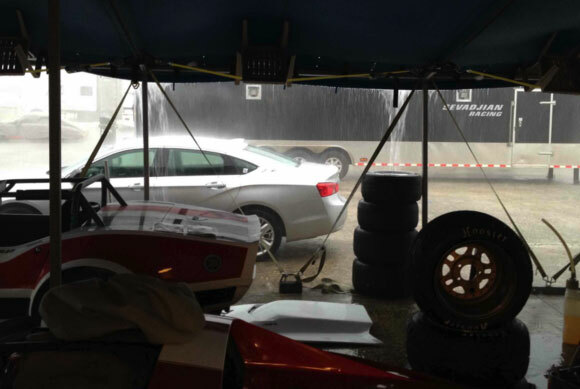 Unfortunately, the only dry Group 6 qualifying session lasted only two laps! An accident caused a red flag and the session ended before Clair got on track, which meant he was gridded last for the first feature race! Not only did Colby not have an opportunity to drive a dry session prior to qualifying, his new engine was running 350 degrees oil temp! He also had an issue with his shifter (another new and untested part). Eventually it all came together and the car ran well. Colby got his first Sebring race behind him and he never turned a wheel wrong in the most difficult conditions where even the winner spun! Walo ran the night race Friday night which was supposed to start at dusk and run into the night. With all the rain related off track excursions in the events run prior to the night enduro, there was no dusk start. It was raining, the track was completely wet and it was very dark. Walo found a tire barrier in the esses on the first lap that ended his race. Fortunately the only damage was a broken left front acrylic headlight cover. The Duntov crew taped up the now exposed headlight bulbs, and Walo was back in business for daytime operations! Walo qualified second in Group 5, and started alongside the Lola but ahead of Ken Manella’s Grand Sport replica in Race 1. The Lola of course departed from the rest of the field, but Walo and Ken had a great race which Ken won by a whisker. 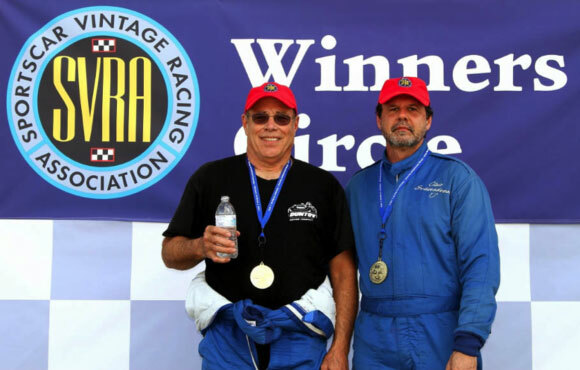 The feature race on Sunday was all Walo, but Ken kept the pressure up right to the end. Walo is easy to spot in a crowd! This was his first podium finish in only his third race ever! The two Group 6 races saw Clair go through the field to eventually finish fifth in the Sunday feature. He set the fastest lap on Saturday by almost two seconds but there were just too many cars to pass and too few laps to pass them in! The 90 minute endurance race was one that we will remember for a while. Normally one driver starts and runs until the first full course yellow. There are two mandatory 5 minute pit stops, and if they can be made under yellow it pretty much saves a lap, so no one wants to come in under green. 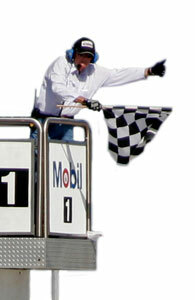 Alan started in Clair’s car and ran an hour before finally giving up on waiting for a yellow. While the car was being serviced and Clair was getting strapped in, the yellow finally came out. Unfortunately the incident that caused the yellow was Walo stuck on track out of gas! What a screw up! Walo was leading Group 5 when it happened, making it even worse. It was not the Duntov team’s finest hour.